Fighting and pleading with facilities to get the proper documentation so that you can transport a patient under medical necessity is an age old problem. 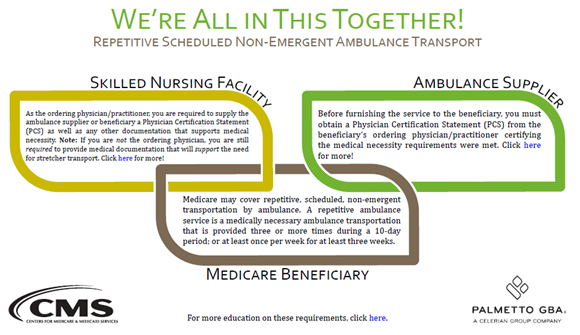 EMS agencies that handle ambulance dispatch and non-emergency transports often find themselves stuck in the middle, with a facility on one side, Medicare on the other, and the poor patient waiting in the wings. Many facilities don't want to take responsibility or accountability for their part, and Medicare is finally starting the recognize the struggles EMS has with getting facilities to cooperate.